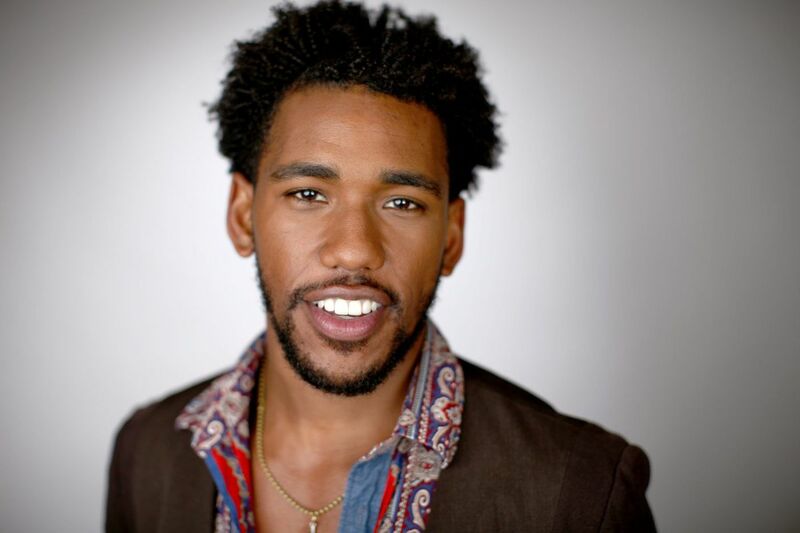 Brandon Mychal Smith Bio, Age, Height, Net Worth, Siblings, Is He Gay? Home Actors Brandon Mychal Smith Bio, Age, Height, Net Worth, Siblings, Is He Gay? Brandon Mychal Smith is one of those actors who began their career at a young age and rose to fame, thanks to Disney gigs. Brandon is a multi-talented entertainer. In addition to acting, he is also a rapper, singer, dancer and music producer. Smith has built up an impressive resume over the years and received critical acclaim for his role as Nico Harris in Sonny with a Chance. In recent years, the actor has been voicing the role of Michelangelo in the animated series, Rise of the Teenage Mutant Ninja Turtles. Let’s take a look at the highlights of his impressive career as well as interesting facts about his personal life. Brandon Mychal Smith was born on the 29th of May 1989 in New York City, New York. Smith was a sparky young kid and would often light up anytime his mom read him Langston Hughes and Shel Silverstein poetry. At school, he was kind of a class clown, and always sought to entertain with jokes. By the age of 5, Brandon knew he wanted a career in show business. His first gig ever was for a Nike commercial that starred golf great, Tiger Woods. Brandon was only 7 years old at the time and has never looked back. In addition to acting, Brandon also loved sports as a kid. He played and continues to play basketball and is also an avid skater. His skating skill was what got him his first feature film gig in the 2003 film, Grind. Brandon then appeared in a handful of TV shows including Unfabulous, That’s So Raven, and Phil of the Future. He got his first big break with his role as Tayshawn in The Ron Clark Story. For his performance, he earned a Family Television Award and Young Artist Award in 2007. In 2007, Smith landed the recurring role of Ricky Jones in Hannah Montana. Up next was his critically acclaimed role in the Disney sitcom, Sonny with a Chance. Brandon played the iconic Little Richard in the 2014 James Brown biopic, Get On Up. Brandon Mychal Smith has enjoyed an exponential rise since beginning his career professionally in 2002. His many non-acting side gigs have helped to bolster his earnings from his primary job. He has a net worth of $2 million. Read Also: Keke Palmer Biography, Net Worth, Twin Sister, Is She a Lesbian? The only sibling of Brandon Mychal Smith who is known to the public is his sister, Kimberly Smith with whom he was raised. Unlike Brandon, Kimberly isn’t in the show business. Brandon took to his Twitter page in May 2015 to reveal that his sister had become a doctor. Another dissimilarity between the two is that Kimberly is very private about what goes on in her life. Her social media accounts are private, thus, little is known about her in public. Brandon Mychal Smith is not gay. However, many fans were quick to speculate that the actor could be homosexual after he took to Twitter in 2009 to reveal that he didn’t have a girlfriend. His gay scene in the FX comedy-drama series, You’re the Worst only added fuel the rumours. However, the fact remains that Brandon is a straight guy who was only doing his job as an actor. Brandon Mychal Smith may not be largely vocal about what goes on in his romantic life, but there have been a couple of facts to prove that the actor isn’t gay. The most glaring is his previous relationship with Victoria Secret Angel, Jasmine Tookes. In a 2012 interview with J-14.com about his experience playing the role of The Lord Of Da Bling in the 2012 Disney film, Let It Shine, Brandon gave a little detail about his love life. Asked about the most romantic thing he’d ever done, the actor replied that it was on Valentine’s day of 2011 with his “girlfriend” where he laid roses all the way up to the dining area and even spelt out her name with the petals. By 2016, it appeared that the couple had broken up as Tookes had begun dating Juan David Borrero, a senior partnerships manager at Snapchat. However, despite the break-up, the two obviously remained friends, judging from the cute Instagram post Brandon made about her in the same year 2016. It was the year when Jasmine was selected to wear the iconic Fantasy Bra at the Victoria Secret show in Paris. She became the third black woman ever to wear the bra and Brandon could not help but congratulate her on the achievement. In the same post, Brandon hinted that they dated for four years. Brandon Mychal Smith has grown up on our screens into an incredibly handsome and tall hunk. He stands at a height of 6 feet 1 inch which is about 1.85 m.